Description: Double oban sized image of a bird perched in a snow covered nanten bush. 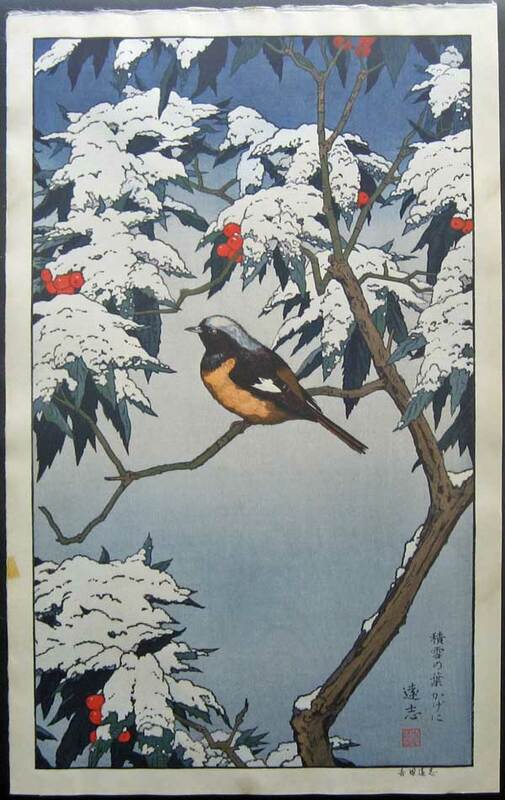 One of a four print series with each woodblock print showing a seasonal view of tree/s and bird/s. The prints come in teak frames with acrylic 'glass'.